Bart was the star in those days, so almost every ad had to have Bart even if his part in the overall plot was minimal at best. 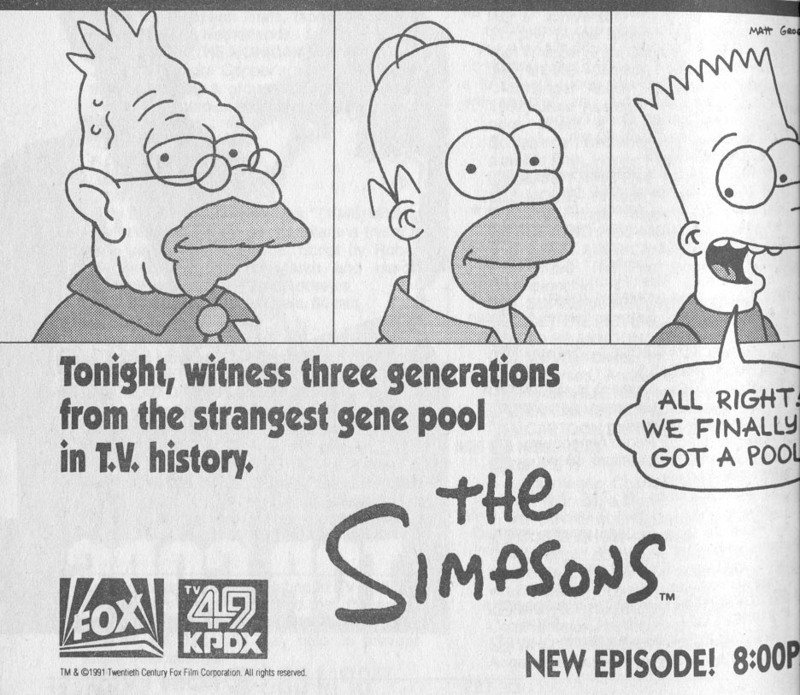 This episode mainly revolves around Grampa Abraham Simpson, but who cares about old people? Not advertisers! "Brush with Greatness" got no ad. One would think they would promote a guest star as significant as a Beatle, but then again it was Ringo.